Ben Sollee will play Cafe Du Nord in San Francisco tonight at 8 p.m. 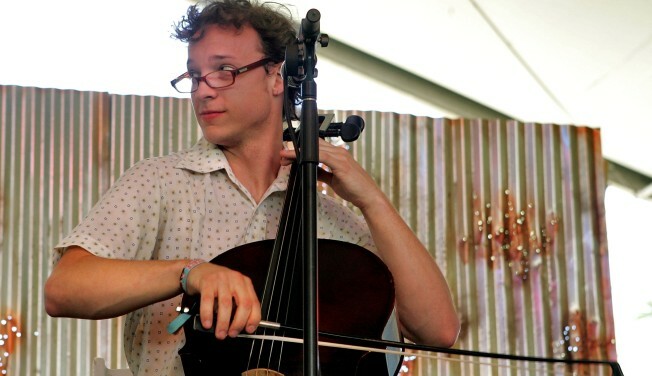 BOYS DON'T CRY: Ben Sollee, who was named by NPR as one of the "Top Ten Unknown Artists of the Year," will perform at Cafe Du Nord, 2170 Market St., in San Francisco at 8 p.m. GOSPEL MEET R&B: Mary Mary will bring their blend of gospel and R&B to Yoshi's, 510 Embarcadero W., in Oakland at 8 p.m. Tickets are $28. INVISIBLE MUSIC: Ghost will play The Independent, 628 Divisadero St., in San Francisco at 8 p.m. Tickets are available on The Independent's Web site.